Considering that the average person will spend around 95,680 hours (approximately 20% of waking hours), at work over the course of their life, assuming 40 hours a week, a life expectancy of 79 years, and a career from age 19-65, it would be optimal to enjoy these hours and be able to achieve new feats together with your co-workers. We will all face problems or challenges in the workplace, whether they are minor or major issues, and these issues could bring us to be unmotivated and stuck in a rut. Thankfully, although they won’t solve every problem, we have a list of 5 solutions to common problems faced by those in the working world. So stick with us to see if you could use these solutions in your current situation. It’s no secret that the days of cubicles and the one person to a desk rule are mostly in the past, with companies today focusing on maximizing their employees’ well-being and productivity using modern, innovative workplace designs. We have contributed to these designs and have been speaking about them for years. What we have discovered is that when these office designs are created the right way, with lots of research conducted beforehand, they turn out amazing. The problem arises when companies create these new office designs without doing research and end up wasting large amounts of space. According to Workplaceinsight, large businesses in England and Wales are losing approximately 10 billion pounds, or over 17 billion Canadian dollars every year, just on wasted office space. Wasted office space occurs because areas are underutilized or not being used at all. This can happen because employees aren’t drawn into the area, the space doesn’t fit with the company culture or flow of work, or simply because there is too much space in the office and a lot of spaces that are the same concept. 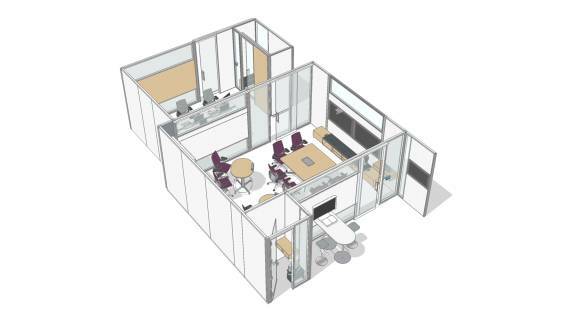 For example, if the office only has two privacy rooms but 80% is open/collaborative space, then employees will be more likely to maximize use of the privacy rooms but a lot of the open office area will usually be underutilized. There is obviously no possible way to build an office that guarantees every space will always be occupied during working hours, but there are certainly ways to maximize efficiency to the point where employees are happy with the variety of available spaces and are transferring from space to space through the day, while no rooms remain left unused throughout the day. The key is doing research. First, if you are thinking about renovating your current office, conduct a workplace measurement/analysis, which will measure each space within the office to see how why, when, and how much it is being used. A perfect example of this is the Steelcase Workplace Advisor. 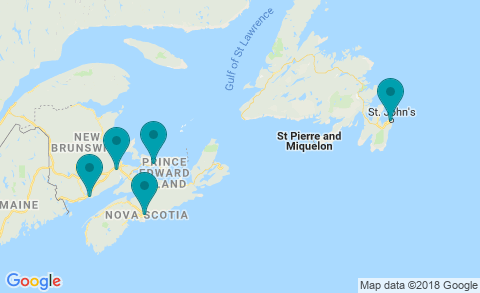 By using this tool, one can gain a proper understanding of what kind of spaces their employees are drawn to, with their location, and what type of spaces should be removed or rejuvenated in a way. Another great way to gain insight is to conduct an employee survey. Ask your employees what they love about the office, the spaces they enjoy working in, what spaces they never use, and what they wish they had more of. Referring to these tips before designing a new workplace will greatly increase the possibility that employees will love their office and will ensure that money won’t be wasted on empty/underutilized space. When the open office revolution began, a major reason for the switch was to boost employee well-being and boost collaboration. These are both great things, but what ended up happening is the creation of fully open office concepts with zero space for privacy and focus. Having no possibility to get privacy to make a phone call or focus on important tasks can force employees to leave their job. Azure Magazine says over 70% of people in the U.S. are now working in open offices, even though reports informing people on how the fully open office can cut productivity, employee well-being, and even how it leads to higher rates of employee sick days, have been published for years. Azure Magazine also writes that open offices took off by a lot of companies because it could lower their costs by cramming employees into smaller spaces with each other. Businesses realized cost savings of up to fifty percent. By doing this, however, employees were forced to be distracted all day, make phone calls in stairwells, under desks, etc., which eventually leads to employees quitting their job because of the amount of stress this causes. The solution to this lack of privacy problem is rather easy. To make employees happy, to boost productivity, to save money in the long run, and much more; combine elements of the open office with enough privacy places for everyone. Removing the negative side of the open office while maintaining the positives is the key. For example, we know that open offices boost collaboration, are more aesthetically pleasing, improve creativity, are more versatile, offer employees the ability to switch locations often, reduce costs, allow flexibility in the layout, and more. Therefore, to remove the negative factors we discussed and to keep the positives, we also need to install several privacy spaces around the office. 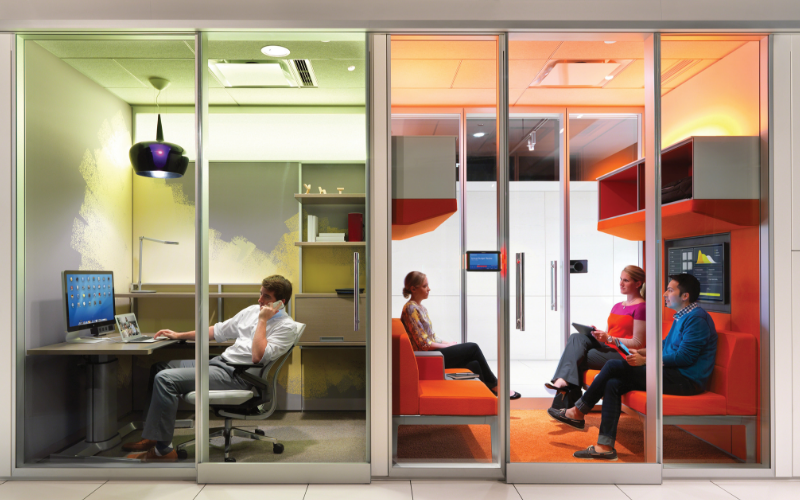 Use private meeting rooms, soundproof privacy pods with glass walls, or quiet lounge areas that employees can go to. This office type will allow employees to collaborate when they want to in pleasant-looking, open office design, but will also allow them to dip into privacy when they need to focus or just want some quiet time. Ultimately, it is best to design your workplace design using workplace measurement and employee surveys, while remembering that the best thing you can do for employees is to empower them with choice by allowing them to have multiple workspace types to choose from. The ability to attract, hire, and keep top talent in the work environment today is one of the most sought after and difficult things to possess. Companies understand how important it is, but it is not an easy thing to do. Companies hire new people in one of two ways; either they hire when they need to (to fill a spot), which is reactive recruitment, or they hire proactively, which means they are always searching, even looking at potentials that currently work for other companies, so that when they need a new person, they can find the best candidate for the job. The problem with reactive recruitment is that it will most likely lead to hiring a candidate that just fills the gap — one that is not top talent and/or the perfect fit for the company. Another separate problem occurs because even if you are able to hire the perfect candidate for the position, businesses often have trouble keeping them for the long run. Let’s look at why these are significant problems. A bad hire can cost a company tens, even hundreds of thousands of dollars in the long run, worth of lost sales, productivity, and training that will be for nothing in the end. In fact, Falen Fatemi notes on Forbes.com that Zappo’s CEO Tony Hsieh said over the years, bad hires have cost him well over 100 million dollars. The “cost” of a bad hire goes far beyond just money. Falen Fatemi also writes, “one bad apple spoils the bunch, disengagement is contagious, which is why employers can’t seem to defeat it”. This reflects the idea that if there is even one bad employee, that employee will bring down the rest of your employees and hinder the entire office’s productivity, which could get as serious as forcing your good employees to quit if proper action is not taken. Even if you hire the perfect employee, if your company doesn’t fit with them and foster their needs, you can lose them quickly. Thankfully, there are ways to increase your chances of landing a great employee that will grow with your business and have a greater chance of retaining them for the long run. In today’s working environment, it is important that your company has an online footprint that potential employees can refer to. Share things on your company’s social media accounts and website, such as company news, success stories, case studies, company culture, learning materials, and blogs. Potential employees will look to this online trail of your company to gain a better understanding of your company. Investing in your employees is one of the most important things an employer can do. Parch Misra writes on Entrepreneur.com that 85% of people are not satisfied with their jobs with the average cost to replace an average employee being double their salary in the long run, double that cost to replace a top-performer. If your goal is to attract and keep top-performers, invest in your employees. Provide them with great benefits: gym membership, vacation and mental health days if needed, new technology and software, proper, ergonomic furniture, helpful learning materials and the ability to work in whatever environment they thrive best in. This will result to satisfied employees and as an added benefit, will increase productivity and lower costs significantly. Allow them to grow with the company and offer advancements in position to them, current employees that are happy in their roles will act as ambassadors to potential employees later on. Finally, it is necessary to understand your current top talent. Find out first-hand what brought them in when looking at your company. What made them decide to work here? What do they love about their job and what do they wish was different? Make changes to your current structure to show current employees you value their wants and needs and in return, potential employees will have more reason to come work for you. Just because your old office equipment still works doesn’t mean that it is worth continuing to use over new technology, and upgrading could even save you money in the long run. 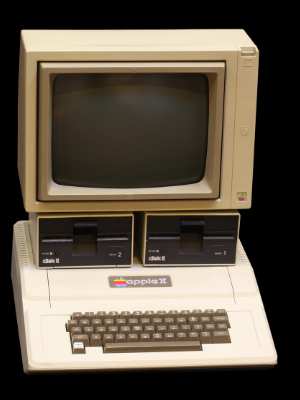 If your office is still running years old technology and you haven’t upgraded in a while, it is likely that you are incurring extra costs for maintenance, reducing productivity and security, and driving your employees crazy. Some of them are probably used to using a cellphone, laptop, high-speed internet, and a laser printer, so it is very difficult to make the switch to the age-old technology in the office. Attempting to save costs is understandable, but purchasing new technology, equipment, and software is a wise investment that will pay off in increased productivity and wellness, money saved on maintenance and repair costs, and will help in creating a modern workplace. The solution to this one is simple, invest in your employees. Watch how much faster they will work and how much happier they are, look at how modern the office looks, see how smooth everything runs and the additional features provided as well. This idea starts with the office itself, in the furniture that is being used and the layout of the office. The office is a direct reflection of the company and it should reflect your culture, so instead of using old worn down chairs and stationary desks, invest in new ergonomic, customizable office chairs and pair them with height-adjustable desks. The office should include an equal amount of open, collaborative spaces and privacy spaces, both spaces decorated with vibrant colors, biophilic design (nature), creative lighting, wall decorations, etc. Remember, the office should portray your company culture and it will be how others judge how they feel about your company, so add some life to it. The other important thing to do is to keep your office technology updated. With technology changing so fast, offices equipped with the latest technology and tools will be much more efficient than competitors. This could mean investing in new laptops with the latest software to replace desktop computers, upgrading to a new laser printer, switching out landlines for cellphones or Voice over IP (VoIP) technology, or just upgrading/investing in newer marketing or sales automation systems. We’ve all heard the expression, “if it isn’t broken, don’t fix it“ but just because it isn’t broken, doesn’t mean that you shouldn’t fix it. Investing in your company and employees will save time and money in the long run, improve overall well-being and how others will view the company, such as a potential employee or client that may stumble into your office. Though successful companies are different in some ways, one thing they almost always have in common is a great company culture, as it is the foundation upon which a company is built upon. Having a positive company culture has several important benefits, as it improves employees well-being company-wide, enhances the reputation of the company to outside sources (potential employees, stakeholders, the public, etc. ), helps with employee retention, and significantly increases productivity and the quality of work. In contrast, a bad culture can kill your company, especially if the warning signs are not noticed and nobody takes action. It will start slowly hurting your business and will get exponentially worse, with productivity lowering, quality of work sacrificed, talented employees quitting, to the entire company folding. Thankfully, there are ways to build a positive culture, maintain it, and even ways to fix it if it ever goes awry. There is not a one-size-fits-all solution here because every company is unique in its own way and different things will work for different people, but there are definitely ways to gain ideas and to help steer clear of a toxic culture. The first and most obvious step is to decide what you want to build the company’s culture around and what your core values will be, which should usually be done in the company’s startup. Typically, great company culture is created around respect, positivity, trust, teamwork, good communication, understanding, and other values. Once the company is up and running, it is good practice to take a full-day trip or meeting to sit down with the team and discuss the culture that will be built and the core values it will represent, this is a time to make sure everyone can speak their mind freely and for everyone to confirm that they are on board and that they understand what is required. 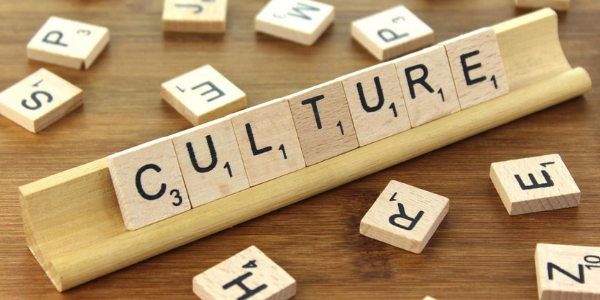 Having every employee on board and adding/building to a positive culture is imperative, thus new/future employees must fit the culture as well. The best way to achieve this is: 1) being transparent online for people to understand what your office community is all about, so they can choose if it is the right fit for them beforehand, 2) asking the right questions in the interview, 3) making sure they fully understand your values and culture, 4) getting rid of them if they do not follow the rules and are harming the culture, or it could get way worse for everyone. Now that everyone is familiar with the idea, it is time to put words into action. The easiest way to start is by ensuring that everyone is respectful, understanding, and positive to one another, it will go a long way and after all, it’s just common decency. Constantly work on proper communication, be clear with what you are happy/unhappy about, and bring it up directly, not gossiping to other co-workers about it. Have events (big and small), for the team to take a load off and bond with each other, which will lead to them trusting each other and working better as a team. Be flexible with employees, have a work-hard-play-hard mentality, and offer them feedback on their work, constructively tell them how they can improve and offer small rewards when they do great work, perhaps a written letter, a free lunch, a day off, etc. These are just some ideas, and as we stated before, every company will be different and will respond to some things better than others. Every company or team or people will have its fair share of problems and conflicts, which is fine, it is how the company addresses these problems that typically determines the success of the company in the long run. 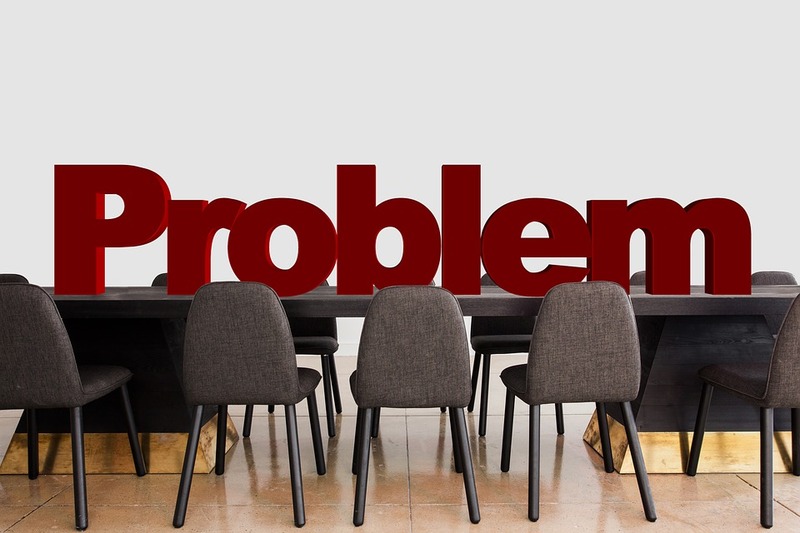 As a last note, when issues or problems arise in the workplace, remember that, if possible, it is almost always best to bring the problem up with someone involved directly rather than bringing it up with others in the office, as this could make it worse. Building a great workplace environment correlates directly with success because when employees enjoy where they work, productivity and quality of work increases and your employees will be inclined to stay and grow with the company. Sign up to receive product updates, newsletters, new blog posts, and be the first to hear about upcoming contests.